Stars start to shine in BAC Open @ King’s Park! The Bournemouth AC Open at King’s Park on March 31st first saw seven of our U11 athletes compete. Ethan was the only one who had done a QK series before. For three of the boys to rank 4th, 5th and 6th (out of 31) on totals was a promising achievement. All will have gained from the experience and will recognise the weaknesses on which they have to work. In this table, the best results (B/G) are highlighted. The older age-groups produced several winners on a cloudy, bright, mild day with a steady, cool, easterly headwind for the sprinters and high jumpers. In the results below, there were a number of PBs. Many events were mixed so not all ranked. NOTE: Outstanding U17W Club Record by Fleur Mansell in Triple Jump. Wessex League Match 1 is next Sunday April 7th – we are co-hosting (with Wimborne AC) at Ashdown. First events 10:45 am. Any athletes wishing to compete, but who have not yet contacted the Team Manager, Peter Cornes, please speak to him as soon as possible. There will be QuadKids for the U11s, plus a range of match events for U13s, U15s and U17s (u20s non-scoring). Southern League Match 1 Saturday, April 13th. This match is at Plymouth. Any U17s and Seniors who are available to help Team Dorset – who finished 3rd out of the 20 clubs last year! – please contact Team Manager Dave Pearson. UKYDL Lower Age-Group (LAG) Match 1. This will be at Walton-on-Thames on Saturday, April 27th. A coach is booked. 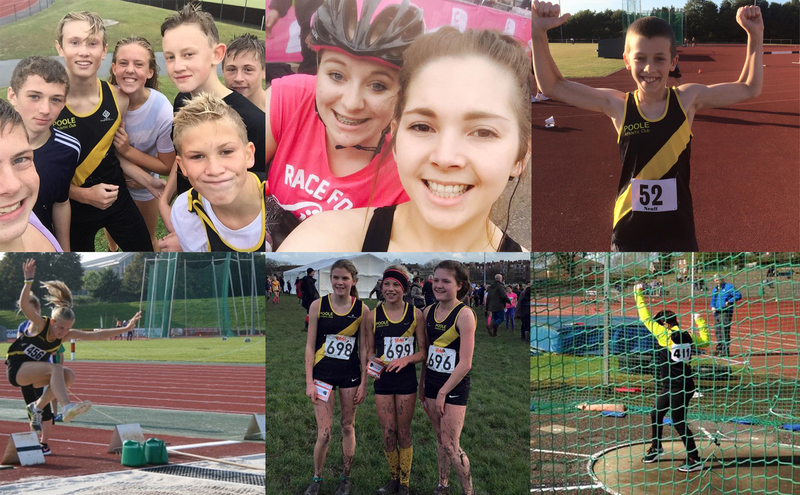 This is a Team Dorset match serving the best available U13 and U15 athletes from Dorchester AC, Poole AC and Wimborne AC.I will contact athletes for this match by Friday, April 12 by e-mail, asking for their availability, and method of travel (coach preferably, or car). Each athlete is limited in their number of events. The timetable will also dictate the choice of events per athlete. I make that choice! That selection e-mail will include many details, including travel arrangements, match and uniform fees, venue details, etc.There are two scoring places available for each individual event; in addition there are two non-scoring places in both 100 and 800 races. No endurance athlete is allowed to do both 800 and 1500 on the same day. In the time before April 12, if you have any questions about this match or YDL LAG, please get in touch with David Little.